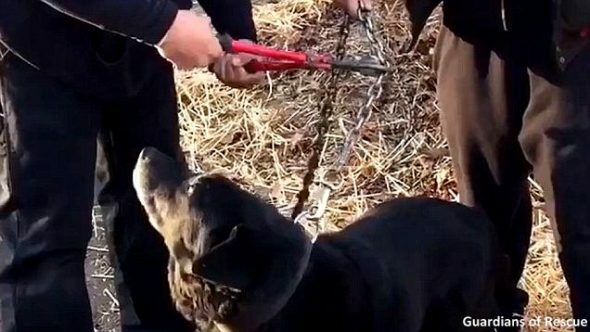 Continuously tether a dog for more than three hours per day. Tether a dog using a tether made of anything but a coated steel cable at any length less than three times the length of the dog measured from the tip of its nose to the base of its tail. Tether a dog without access to shade when sunlight is likely to cause overheating or without access to appropriate shelter for insulation and protection against cold and dampness when the atmospheric temperature falls below 40 degrees Fahrenheit. Tether a dog without securing its food and water source to prevent its being tipped over or spilled by the tether. 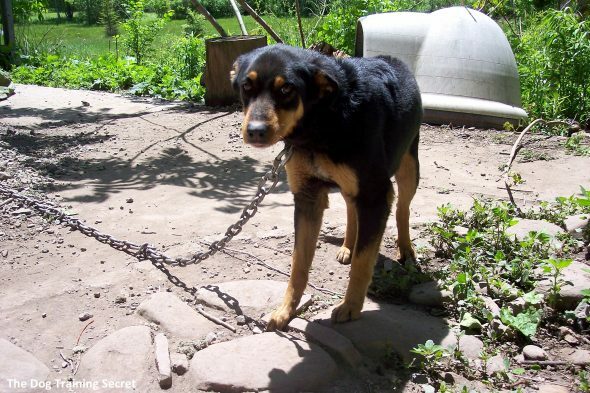 Tether a dog in an open area that does not provide the dog protection from attack from people or other animals. Tether a dog in an area composed entirely of bare earth subject to becoming wet and muddy in the event of precipitation, and without any dry surface area for cover or protection. Finally perhaps other countries can start to do this. 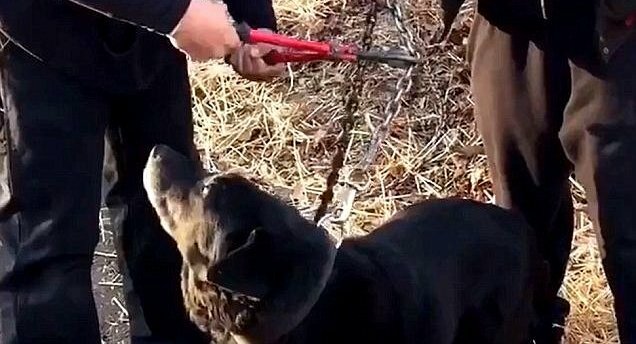 Bulgaria in particular leave dogs chained up all year round with very little human contact, shelter and mainly fed just bread. GREAT – should have been done years ago!!!! I have three dogs – large, happy, healthy, pit bulls. 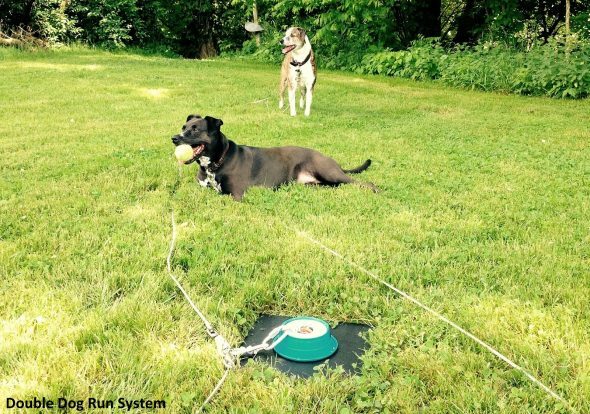 One is tethered (appropriately according to this article) during the time we are at work because he’s a fence jumper and several children on the block taunt my dogs while we’re gone. He’s immediately taken off while we’re home but what should I do now because of the 3 hour rule?